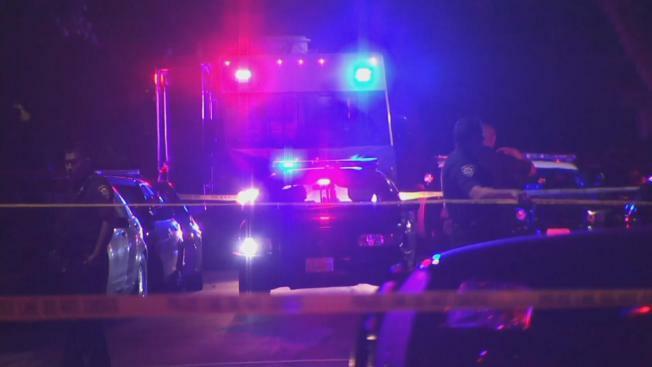 Palo Alto police and other law enforcement agencies were investigating a death at a residence in the 300 block of Creekside Drive late Thursday night, according to the Palo Alto Police Department. The nature of the crime was not revealed, but police did say that it is a "death investigation with suspicious circumstances." They were trying to figure out whether it was a homicide or a suicide, according to police spokesman Lt. Zach Perron, who added that someone came home to the residence and found the person dead. Police said the scene is secure, and there is no active search in the neighborhood for suspects. But residents in the area were a little uneasy not knowing how a neighbor died. "It seems no one knows the people who were living there," said Jeff Kmetec. "So we're a little curious about who's involved. It's on everyone's mind." Creekside Drive was closed indefinitely between Nelson and Parkside drives during the investigation.